Purchased from Das Bierhaus in Fresno. 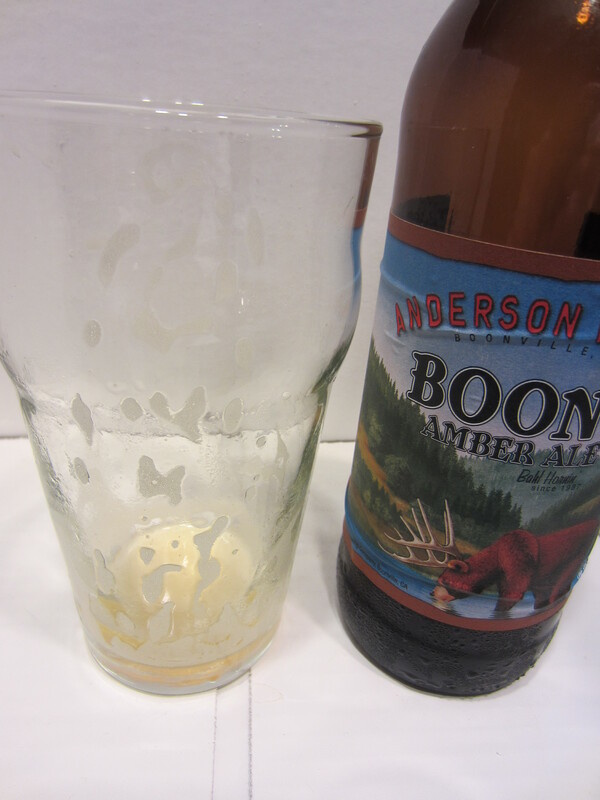 Poured from a 22 oz bomber into a nonic glass. The color is a slightly hazy brown/amber, similar to iced tea. 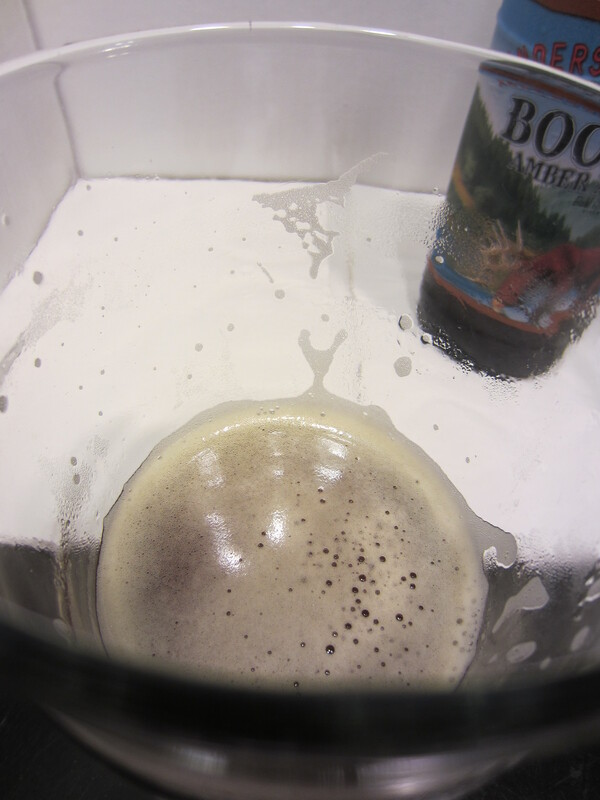 Some carbonation is visible crawling up the sides. The head is off-white with amber hues, and leaves good lacing on the glass. 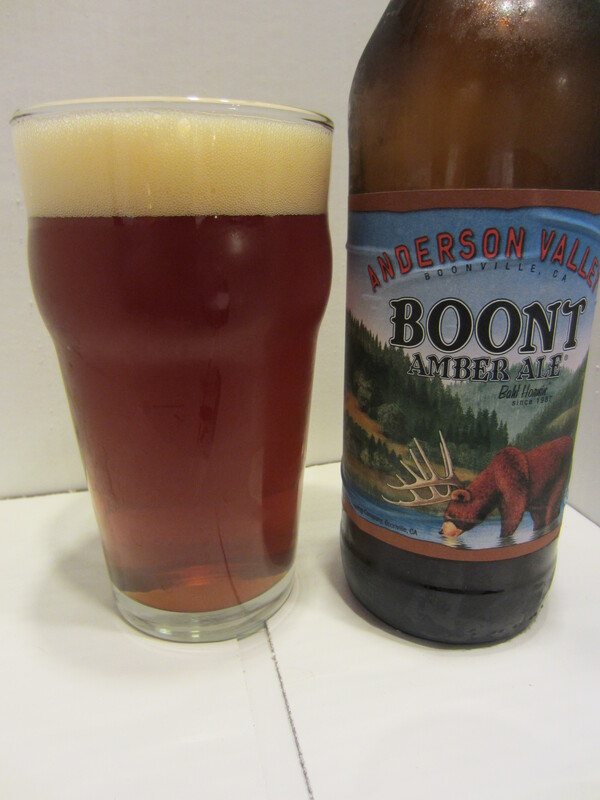 Sweet caramel malts, a bit of roasty molasses, and a hop profile that borders between floral and citrus. Medium bodied with faint carbonation harshness going down, otherwise smooth. There isn’t a whole lot of flavor initially, just some sweetness from the malts. It finishes with some crisp bitterness; an aftertaste of citrus hops which sticks around mildly dry on the palate. 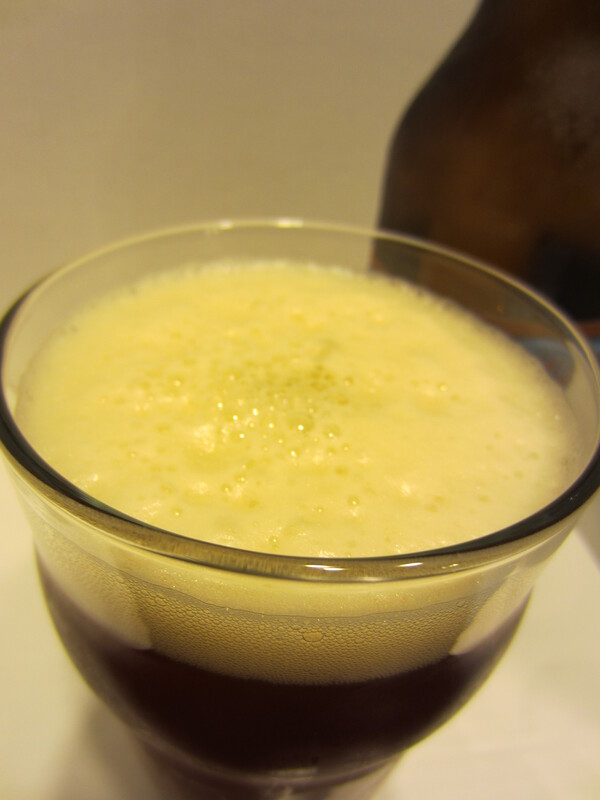 Though the flavors offered in this ale are represented relatively lightly, they do blend together quite well. 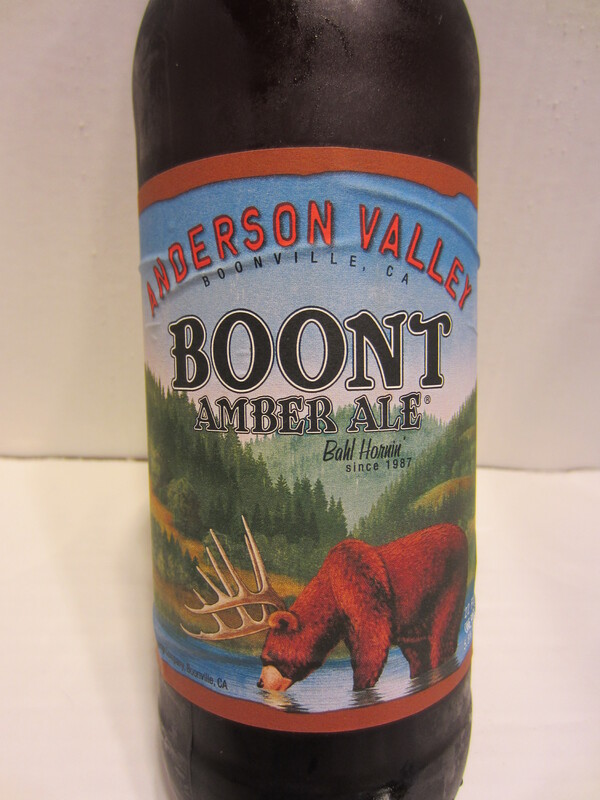 The caramel-like malts are the main component, with just enough bitter hops to compliment the palate, making Boont a pretty refreshing drink. I had no trouble finishing the bottle pretty quickly, and certainly wouldn’t mind having another bottle around for when the mood strikes. Not bad at all. 7.5/10. 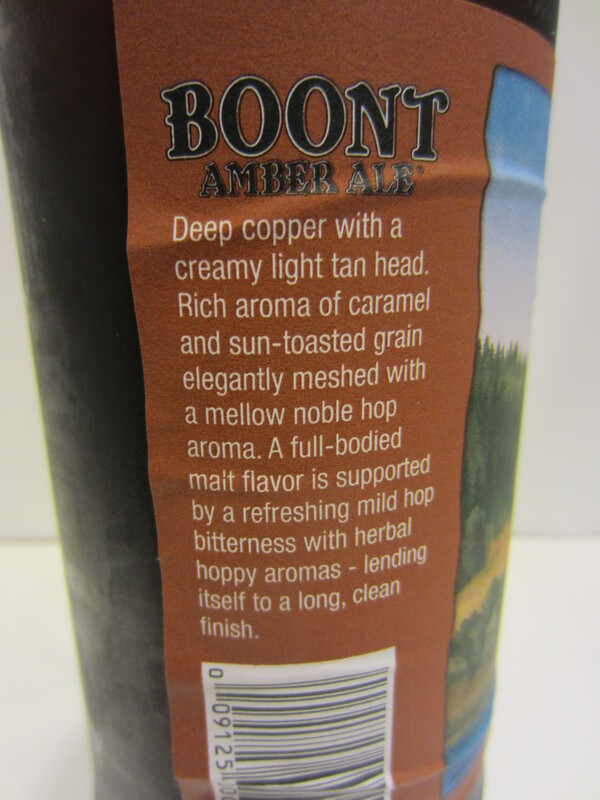 This entry was posted in Beer Reviews, Light/Pale Ales. Bookmark the permalink. Pingback: Beer #190 – Deep Creek Brewery – Little Armoured One | A life just as ordinary.